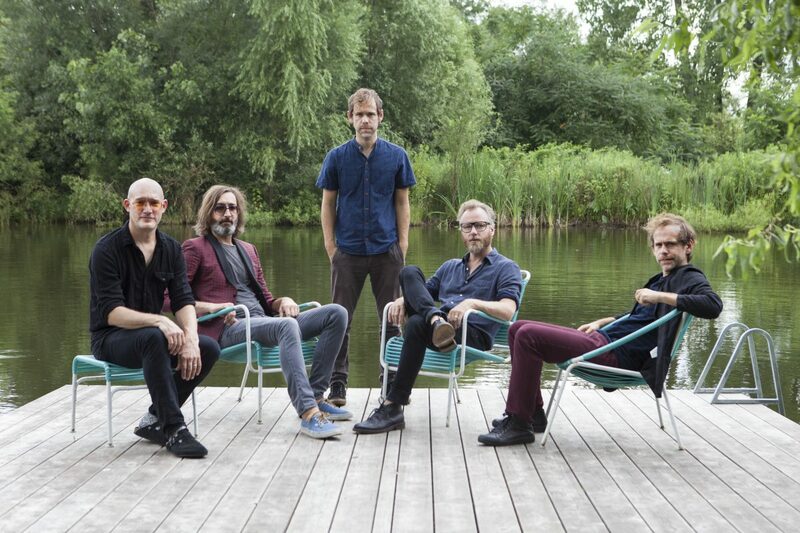 As The National release their eighth studio album, Getintothis’ Rick Leach gives a personal tale of why they matter so much. Nearly nine years ago now. I remember the exact moment. The precise moment when I fell in love once again. When I fell in love with music once again. It had been a long time. Too long. We were at Glastonbury; myself, my daughter Amy and her best friend. It was 2010 and our first time at the festival. If anyone recalls what the summer of 2010 was like- and specifically the last weekend of June – you’ll remember it was scorching hot. For the first time in years, and for the last time since then, there’d been no rain at Glastonbury. Not a drop. The ground was parched and burnt and baked hard. There’d been no mud at all. In our first-time naivety, we didn’t realise how lucky we’d been. We’d spent most of the first few days just wandering around, finding our feet and getting to grips with it all. Me, at 48 years-old, feeling somewhat old and out of step, and with two 16-year old’s in tow who’d just finished their GCSE’s. You can imagine. The music which simply connects. To be honest, there’s not much of it. Not for me anyway. Maybe it’s an age thing. Maybe it’s because I’ve listened to so much music over the past four decades and more, that those moments become increasingly less common. And that’s how it was at Glastonbury in 2010. We’d seen The Flaming Lips the night before and they were great, but we kind of knew they going to be- we took that as a given. The rest of the artists we’d seen, well they were ok, but again, it was all what I imagined they’d be. But overall nothing was earth-shattering, nothing ground-breaking. That was ok though. We were just happy to be there, taking in all, and enjoying the unbridled sunshine. It was Saturday afternoon. It was simply too hot to leg it from stage to stage in search of the next best thing. We decided to spend the afternoon flopped out on the grass by the Other Stage and to let the music and atmosphere roll over us. It was a matter of doing a Spiritualized-type thing; ‘lay back in the sun’. I can’t remember who’d been up on stage earlier in the day. It had gone by in a haze. We were taking turns to lie in the bit of shade we could find from the umbrella we’d taken with us in case it rained. I’ve looked back on it now and found out that it was Two Door Cinema Club, Reef, Imogen Heap and Kate Nash. Hmm. I have no excuse. As I said, it was simply too hot to move. We couldn’t be arsed. And then…and then…after Kate Nash’s warblings…everything changed. A half-hour break, then I heard what I’d been looking for, what I’d been searching for. What I’d been looking for throughout all those years. It hit me like a truck. Like a lightning bolt. Like…like…all the clichés you can think of. Within the first couple of bars, the first few notes, I knew. This was love. Not love at first sight, because I was too far away from the stage and couldn’t find my glasses (being that age) but love at first hearing if such a thing is possible. Maybe it is if you’re a music fan. Surely it must be. I nudged Amy awake. She was asleep. That music on the stage hadn’t moved her. Shrugs and closes her eyes. “Dunno.” She was a great help. Her friend was no use either, being similarly flat out. I rummaged around Amy’s bag and pulled out the little guide book thing. Ah, The National. So that’s who it was! This is the thing. I’d heard of The National but at that point, I’d never heard them before. They’d passed me by. I didn’t know any of the songs, didn’t know anything about them, where they came from, what they’d done, who they were. Nothing. It didn’t matter. At that point, half a song in, I was transfixed. You hear these stories about people a generation older than I am. You know the ones; the first time they heard Elvis or Little Richard or maybe Dylan or whoever it may be and it changed their life forever? It was if the scales had been lifted from their eyes and they could see clearly? An epiphany of sorts? But with them, it was when they were what, 17 or 18 years old? For me with The National and on that hot Saturday afternoon, I was considerably older. Decades. Three decades older, but it was just the same feeling. Or how I imagined it must’ve been. I didn’t know what I was hearing. After a quick glance at Amy and her mate, still snoozing in the sun, I got up to my feet. I decided to leave them to their slumbers and like a moth to a flame inched my way as much as I could to the front of the stage. It was crammed. Everybody in the crowd seemed to be jumping up and down, dancing, swaying and singing along to all the songs. And everyone was smiling. Not only smiling but grinning. This is the effect that music can have on people. I looked around in wonder. How on earth had I missed this band for so long? Under the bluest sky imaginable dotted with cotton wool clouds, I watched The National play one of the finest live sets I have ever seen. I now know of course that they ran through many of the tracks on what was their latest album at the time High Violet, as well as a smattering of tunes from their predecessors, Boxer and Alligator. The fact that they were all new to me didn’t matter. I was transfixed. In a dream-like way, the hour-long set seemed to be over in minutes. Or lasted a lot longer. It was hard to tell. Time wasn’t a defining factor. I was wrapped up in those moments, enveloped in what was happening and what I was seeing and hearing. Every song hit home. You know when something feels just right? That’s how it was. This was passionate, heartfelt music. Music that pierced me to the heart. Stabbing guitars. Brass cutting the air like sharp vapour trails, twisting and turning and spiralling. The tightest percussion, tight drums and a bass underpinning akin to the foundations of an immense monument. All coming together to make melodies which for an hour, made my heart run faster and the hairs on my neck stand up. Words that felt true and honest. I strained to hear fragments of the lyrics which I know so well now, but then it was all coming to me in a rush; one song after another. That didn’t matter. I was drinking it all in as greedily as I could. And The National? What were they like? It didn’t take me that long to gather they were American. (This shows how little I knew.) They seemed slightly older than that I might have expected, older and a bit grizzled. In what was a good sign as far as I was concerned- a truism that I hold to this day- was that they didn’t appear to be wearing any “stage clothes.” I always find it deeply suspect when an artist comes on stage and performs in costume- even if its something only a bit different from what they would normally wear. It smacks too much of end-of-the-pier and naff showbiz tradition when stage clothes are involved, let alone a full costume. For that reason alone, the fact that The National walked on stage in what looked like they had been wearing all day, earned them bonus points in my eyes. They weren’t messing around. It was clear they knew what they were doing. There was a fierce intensity and a desire to communicate and to connect with all of us. There was something… urgent about it all. The singer (and that’s all I knew Matt Berninger at that time as, the singer) gave one of the most mesmerising performances ever. In and out of the crowd, falling off the stage, squinting up at the sun and singing with a passion which I thought which was not possible any more. This is what music was about and this is what I’d been missing. And what Berninger and The National did that Saturday afternoon were no false histrionics, no mere stage antics. Their performance was one of pure honesty and truth and with that, I knew why they would mean so much to me. I knew within the first song. Because this, this previously indefinable quality, was what I’d been looking for, even though I hadn’t realised it until then. For the longest time before, years and years and at least since the late-1990’s I’d been searching (and without realising it explicitly) for the next big thing. Maybe that’s the wrong term. Not so much as the next big thing, but searching for that music which would give that buzz of excitement and that sense of being transported somewhere else and somewhere out of it. Everything seemed flat. Everything that was supposedly “new” that is. There’d be false dawns of dance music, electronica, Britpop, grunge, math-rock; everything. Every conceivable label you could think of, I tried and although some it was alright, that was as good as it got. There seemed to be, especially with British bands, and you can guess which ones I’m referring to, a race to the bottom, a cult of laddishness and a proud and cynical effort about appearing to be anti-intelligent. All and any nuances had been acid-stripped away. Maybe it was me. Maybe I was getting too old. But those halcyon days of, for example, post-punk, where the fact that your bands were politically aware and literate and aware of the wider culture in which we live meant something, seemed a long time ago. The thought of Liam Gallagher,for example, reading Kafka or raising Barthes in an interview was quite frankly, laughable. I should stress that I do believe it’s not important for all “rock stars” (and isn’t that a crap phrase?) to be versed in post-structuralism or mid 60’s Polish cinema or whatever, but it would have been nice to have had a bit of it to vary the landscape. What really irked was that we all kind of knew that this tendency to anti-intellectualism was false. It was the musical equivalent of Cambodia’s Year Zero. Reading Proust was parallel to wearing a pair of glasses in Phnom Pehn. It was a badge of pride and a need to survive which drove this image forward. So, although I kept an eye and ear on what was happening and still hoped to be moved, I found myself heading down different roads; classical music, the most obscure avant-garde music I could find and rummaging around in the past from 1920’s blues to 1960’s garage-punk. Anything but what was going on. And that is why I guess, that The National slipped under my failing radar. Four, five albums in and I never had a clue who they were. This is a bit of a sad admission for someone who writes about music. But that’s the way it was. I was falling out of love with (new) music and that’s the way I had been for a long time. I don’t know, but you could possibly be justified in thinking that anyone who writes about music should have a firm grasp on what’s happening and what was significant in the (recent) past. Well, there’s huge swathes of stuff between 1995 and 2010 which I have no idea about. Not a clue. Secondly, while I’m holding my hands up, maybe when we’re writing about music we should be objective and clear-sighted, neutral and slightly detached. Looking at it from a distance, a step away so to speak. I can see the sense in that. There’s a certain amount of logic in that argument. The need for objectivity. “Amy! Amy!” I said, shaking her awake after I managed to find them. “I’ve just seen the greatest band ever!” I wanted to share the news. I was evangelical. She opened one bleary eye and squinted up at me. Her two-word response ended with the word off. But I was right. For once, I was spot on. We did manage to see some other artists and bands that hot and blissfully sunny weekend in June and yet none of them came even close to what The National were for me. As soon as we got home, I started to explore The National’s back catalogue and to find out more about them. In some ways, I half-expected the initial attraction to wear off like a short-lived summer romance but as summer turned to autumn and then winter, I found myself listening more and more, almost to the exclusion of everything else. I dived into what they have done with a fervour that was quasi-religious. Albums, singles, interviews, scraps of stuff off the internet, everything. And this is how it’s panned out over the past nine years. For me, they’re up there with Bob Dylan, The Fall and Mahler. The Holy Trinity has expanded. Initially, this feature was going to be a Top 10 National tracks or maybe a Buyer’s Guide as to where to start with them. I tried to do that, tried both, but it proved impossible. It just wasn’t working. I’m too attached to them and as Amy (probably correctly) would say, I’m too much of a fan boy. A ridiculous thing to say about a 58-year old, but true. All I can do is try to explain. High Violet is the album I started with. Maybe it’s because it brings back memories of that day so clearly for, but it is a great place to start with The National, because it’s where it all seems to come together. The point at which they soared. It’s one of those rare records where every track is special. You don’t get many of those. Even on your favourite records, you’ll come across a bit of filler but with High Violet, there’s nothing spare. Every track means something and does something extraordinary. From the urgency of Bloodbuzz Ohio, to the half-whispered, half-heard stories on Conversation 16, to the heart-wrenching optimism of the greatest ballad ever, Vanderlye Crybaby Geeks, High Violet as an album covers all points. There’s a depth to it all. There’s something intrinsically fascinating about it where every time you hear it you hear more. It’s akin to reading a great novel over and over again. There are hidden corners to explore and discover. Not only on High Violet but throughout the rest of The National’s work, and particularly from High Violet onwards, they seem to be able to articulate that quiet and sad air of resigned desperation which you get in the writings of Raymond Carver. Those small glimpses into other lives and worlds which you know are there but which you don’t usually see. Or maybe you do. These are songs about our lives, our small victories, our ever-present failings and demons, our worries and concerns. The National speak to us in words and music we understand. Unlike most other rock groups, they are prepared to dispense with silly posturing and get to the heart of it all, of what it’s all about. 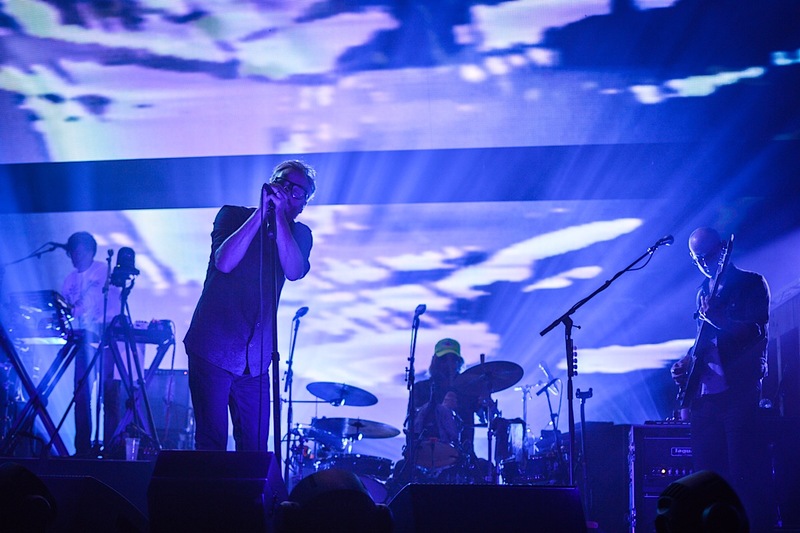 This is music that talks to us about lives lived, how we are, our fears and preoccupations, hope and desires The National make art, because that what this is, for adults. Listening to any other rock music after listening to The National seems immature and frivolous. 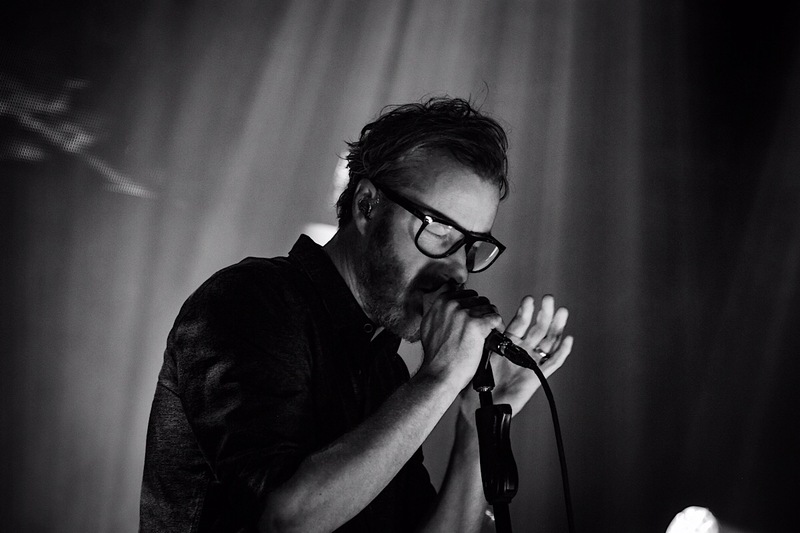 In that sense, The National are as far removed from being a rock band as it’s possible to be. And unlike most other rock groups, they’re prepared to stretch themselves musically. How many times have we read some PR guff about artists “moving in new directions and challenging preconceptions” only to find out that new record they’ve blathered on about is as challenging as being a contestant on Tipping Point? For The National, that level of experimentation is due to their ability to work across musical and artistic boundaries: guitarist Bryce Dessner for example, runs a parallel career as a modern classical composer, releases music on Deutsche Grammophon and has worked with the likes of the LA Phil, Philip Glass,Steve Reich and many others. In 2015 they collaborated with the Icelandic artist Ragnar Kjartansson, played Sorrow repeatedly for six straight hours over and over again at MoMA then released the results as a nine album box set containing 105 different iterations of the song. That’s what I call challenging preconceptions. You can listen to any track from 2017’s Sleep Well Beast and, just like the lyrics, there’s fragmentary noises and music underlying it all. Every time it sounds different. Or least it does to me. I am going for a bit of objectivity at this point. High Violet is the point where it all changed. I’ve tried with their debut album and its follow-up, Sad Songs for Dirty Lovers, but they don’t really do it for me. I admire them and I’ll listen to them on occasion, but The National really seemed to grow with Alligator and Boxer and then, in some sort of Robert Johnson making a deal at the crossroads way, blossomed magnificently with High Violet. 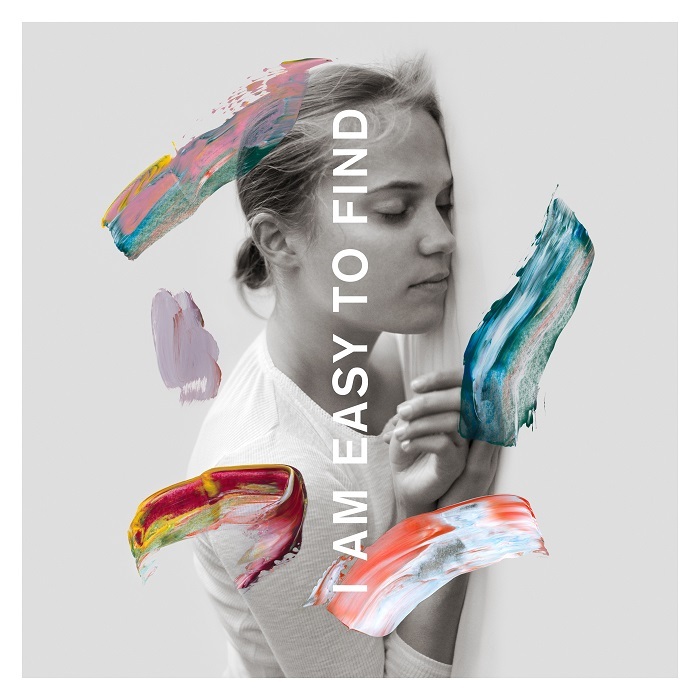 Since then, with Trouble Will Find Me and Sleep Well Beast, they’ve gone on from strength to strength and this May, we’ve got a brand-new record, I Am Easy To Find, which I can assure you, is delightful and magnificent and simply confirms to me that The National are a band to treasure forever. It’s another giant leap forward and I can’t wait for you to hear it. If you only ever watch one more documentary about music, then go for their 2013 film Mistaken For Strangers as it follows them around a European and US tour with Matt Berninger’s brother attempting to make his own film under the pretence of roadying for them. It’s funny, sad, heart-breaking and life-affirming. In essence, it’s everything that The National are about. Back in September 2017, The National played Manchester and I reviewed them for Getintothis. Of course, I did. I wasn’t going to give that chance up. But as a sign of the level of my fandom which provokes a certain level of ridicule within my family, the gig was happening the night we flew back from a three-week holiday. For days all I’d gone on about was whether we’d get back in time. Were the flights running ok? Had another volcano erupted over Iceland and disrupted all air traffic across Europe? Was our taxi definitely booked to pick us up at the airport? I assured our esteemed editor I could cover it, although I watched the departure board for our flight from Menorca with an air of trepidation. The flight was due to land at Liverpool airport at 6.30 pm. Any delay, any ad hoc nonsense from Spanish or French Air traffic controllers would scupper the whole thing. But we took off at the right time. I twitched nervously all the way back. No delays, no delays, I prayed. No hold-ups on the M6. Please, no traffic jams. As we got home, I jumped out of our taxi and with nary a goodbye to anyone, into my car and sped to Manchester like a bat out of hell, reaching the Apollo just in time as The National made the stage. Just like that Glastonbury show I was blown away. They were incredible. I got home well after midnight, wrote the review and collapsed in a heap. I’d been up for nearly 20 hours and was well and truly fucked. But it was worth it. That’s what love does to you.